BEIRUT (AP) U.S.-backed forces fighting Islamic State militants in Syria were removing land mines and clearing main roads in Raqqa on Wednesday, a day after their commanders declared the city was under their control, a spokesman said. Mustafa Bali, spokesman for the Kurdish-led Syrian Democratic Forces, said preparations were also underway for a formal declaration of the liberation of Raqqa. SDF announced on Tuesday that military operations in Raqqa have ended and that their troops have taken full control of the city, once the heart of IS’ self-styled caliphate. 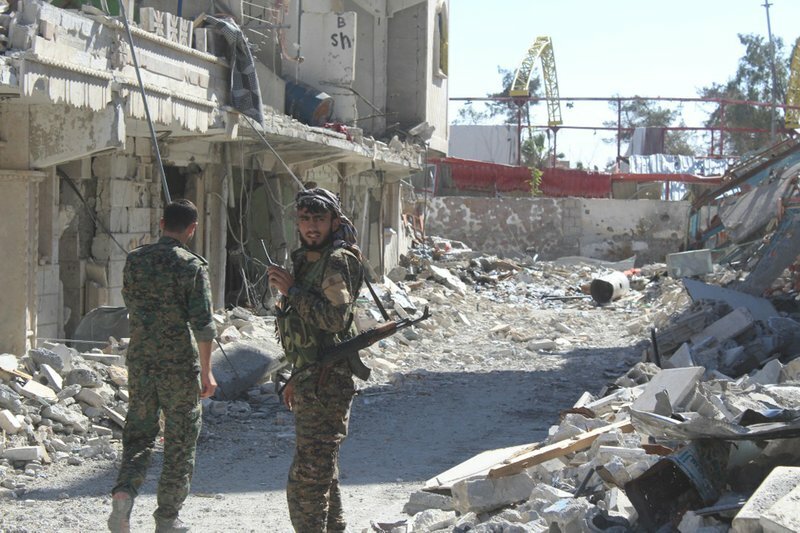 The U.S.-led coalition cautioned that the clearing operations were not finished and that it estimated about 100 militants may still be hiding in the city. On Wednesday, the spokesman for the U.S. coalition, Col. Ryan Dillon, tweeted that 95 percent of the city is now under full control as clearing operations continue. The coalition stressed that the SDF had been successful in keeping captured territories from IS because of its thorough clearing procedures that prevent typical IS counterattacks. Brett McGurk, the top U.S. envoy for the coalition battling the Islamic State group, said he was in northern Syria to prepare for the defeat of the militants. He said the United States will help in clearing explosives as well as restoring services in the city. The fall of Raqqa deals a major defeat to the extremist group that has seen its territory steadily shrink since summer. Militants took over Raqqa, located on the Euphrates River, in 2014 and transformed it into the epicenter of their brutal rule. But fighting against IS militants is not over. 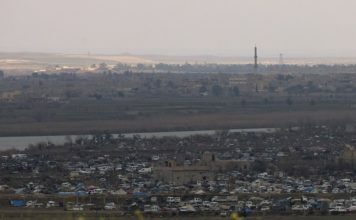 The group still holds territories to the south of Raqqa, along the border with Iraq in the oil-rich province of Deir el-Zour, and to the west in the central Homs province. In separate offensives, the SDF and the Russian-backed Syrian government are battling the Islamic State group in Deir el-Zour. 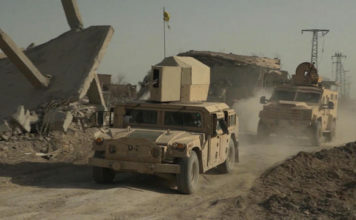 On Wednesday, fierce clashes were reported between SDF fighters and IS militants in the group’s last strip of land in Hassakeh province, to the east of Raqqa city. Meanwhile, the Syrian Observatory for Human Rights, a group that monitors the war in Syria, also reported intense clashes between forces allied with the Syrian government and IS militants in an area between Homs and Deir el-Zour.